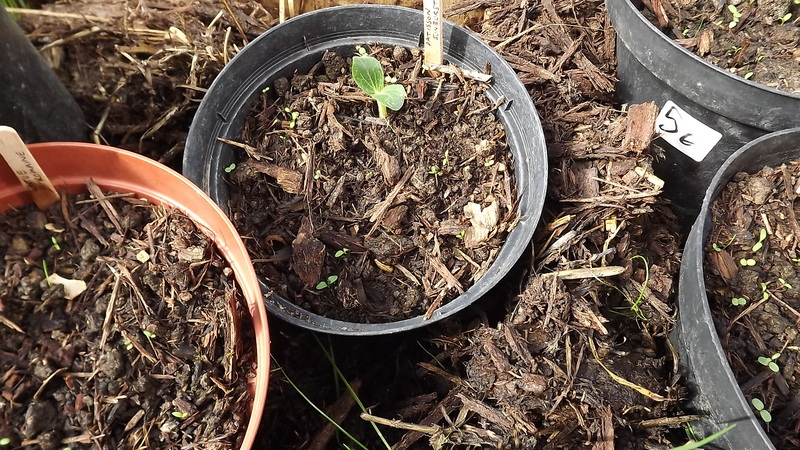 The overnight temperatures are stabilizing now and the new seedling are responding well today sees our first squash appear from below the compost and the poly-tunnel is showing good progress too. Fiona has been busy pricking out dozens of brassica seedlings of multiple types including cauliflower, cabbage and broccoli. 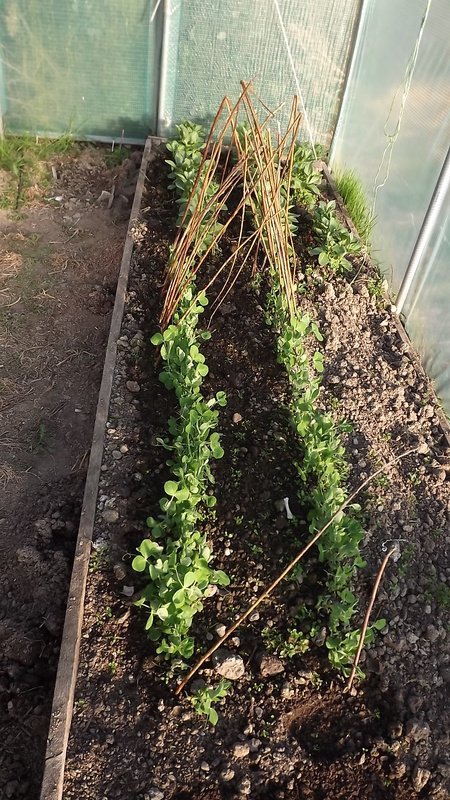 Below you can see Fiona is getting great results in the Poly-tunnel with the first planting of peas beans and potatoes, the beans have already got flower buds on them so should be blossoming in the next week or so. 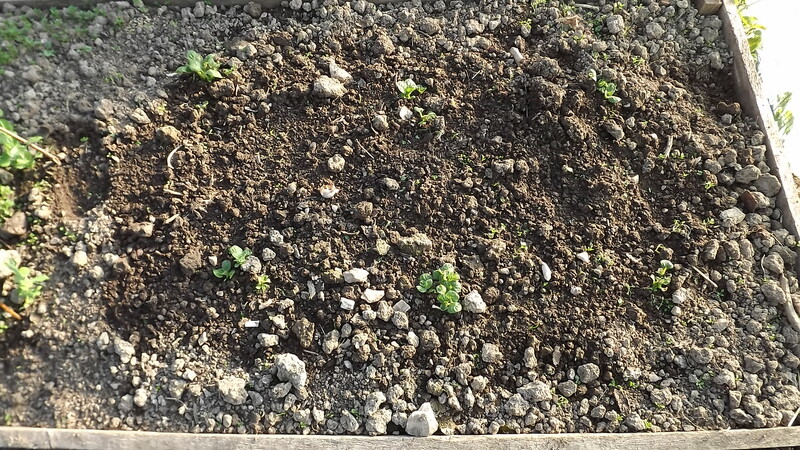 The peas are do very well too and the first early potatoes are through the soil and although we don’t eat to many potatoes these days we do enjoy new potatoes more than any other potato crop of the year. 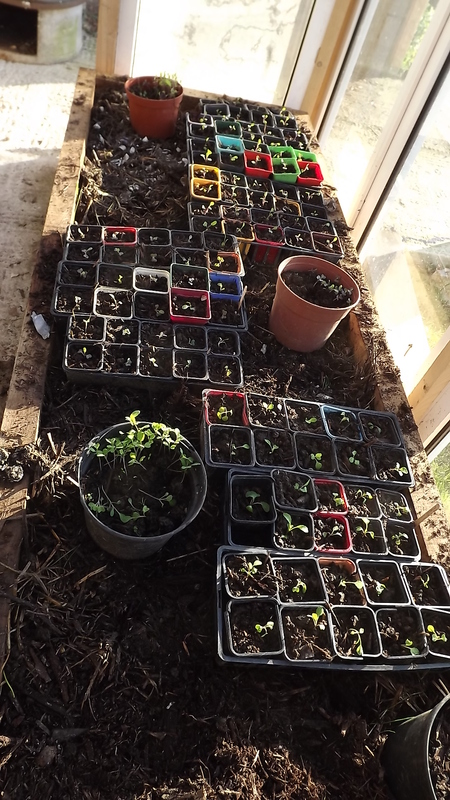 Here you can see the progress in the new greenhouse Fiona has potted up hundreds of brassica seedlings, these are a staple of our diet and a great joy as we can grow them nearly all year round in one site or another around our garden. Here is our first squash of the year we grow a dozen different types and dozens of each type and they represent a large part of our annual consumption of plants from salads in the summer to soups and stews in the winter and roasted all year round. They grow well here and need little attention other than sowing, planing out and harvesting, this makes them a favourite for us. More progress posts to come, all the best.